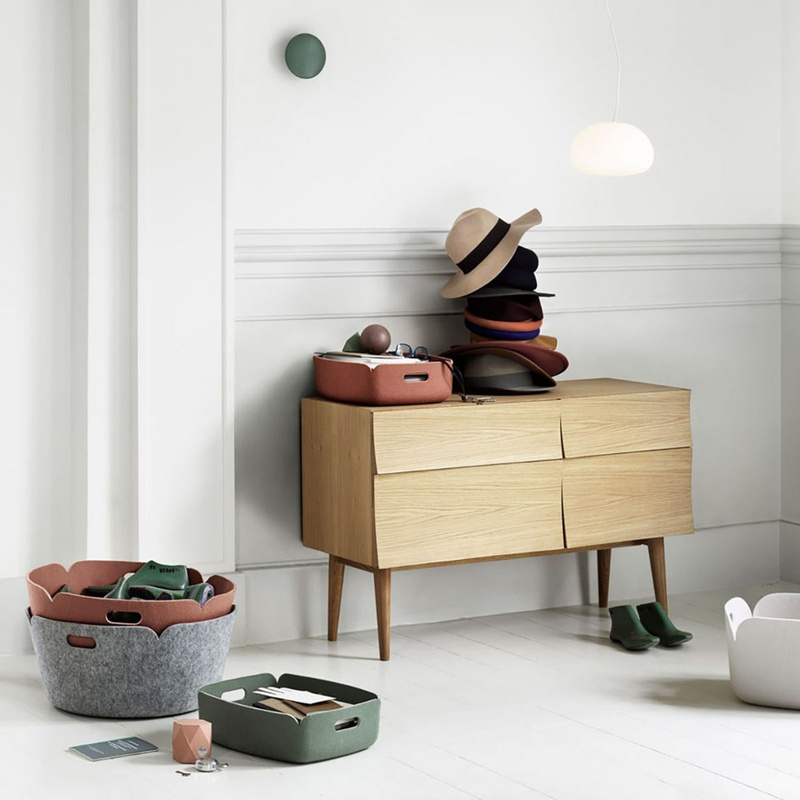 The Reflect sideboard is a pretty storage furniture with compact dimensions, a model belonging to the homonymous line of furniture proposed by Muuto, renowned Danish design brand. The Reflect sideboard sees in wood its main protagonist, and for this creation it has been chosen a type of wood particularly appreciated for its aesthetics, that is oak. 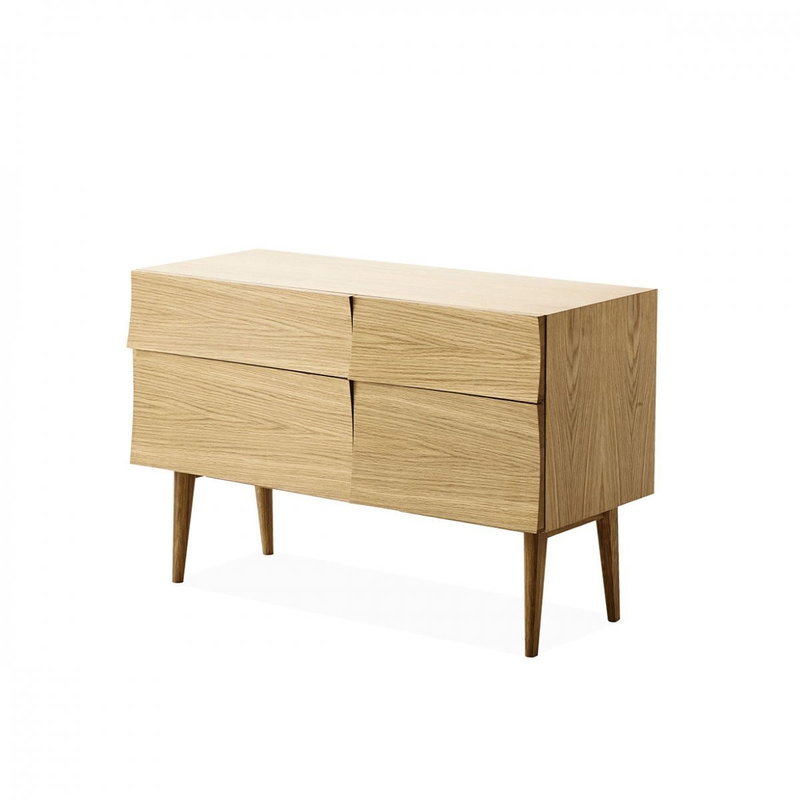 This sideboard is entirely made of veneered oak, while its supporting legs, 27 cm high, are made of solid oak, therefore, have a slightly different hue. At first glance, by looking at the small Reflect sideboard you can immediately seize the charming brightness of oak; by looking at it more carefully, you can also appreciate all the beautiful natural grain of this selected raw material. 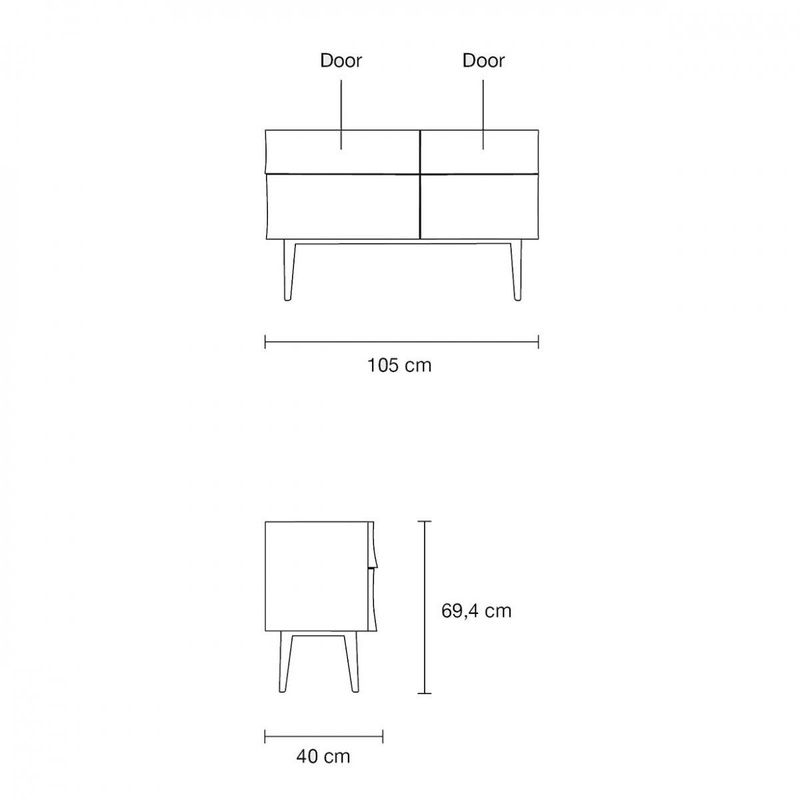 This cupboard by Muuto presents fairly basic lines, linear and geometric, and proposes front doors in 4 different sizes. A very interesting feature of this aesthetically beautiful element signed by Muuto identifies precisely in the particular shape of its drawers: being slightly arched, in fact, these surfaces are able to bring out the beautiful grain of the wood, making it an even more appealing furniture. This sideboard is really a very versatile storage furniture in terms of combination possibilities, managing to perfectly match both contemporary contexts and more classic spaces. Such a sideboard can be placed also in rooms with reduced size, having a compact structure, and you can position it adjacent to a wall but also in the middle of the room, maybe delimiting two different spaces inside just one large room. Information: wipe with a damp cloth and dry with a soft cloth following the grain of the wood. Remove stains with a mixture of water and detergent. The sideboard must not be subjected to excessive humidity, heat or direct sunlight.